My Dad Is Dead from the Khyber on October 22, 1991. The tape didn’t have a date on it but according to an old date book My dad is Dead was at the Khyber on 10-22-91 and it was a Tuesday(he mentions that in the tape.) It sounds like it is just Mark Edwards but I’m not sure about that either. 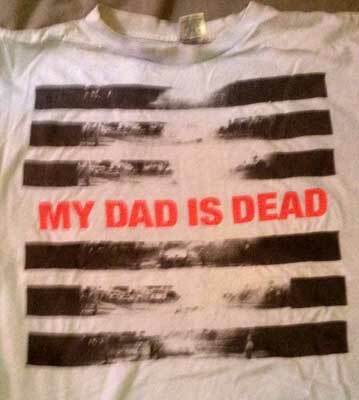 (The other band members could just be really quite) My Dad is Dead is no longer performing but go to the My Dad is Dead site. or the new band: Secular Joy _Sorry I didn’t figure out all the song titles if anyone can help with that please leave a comment.